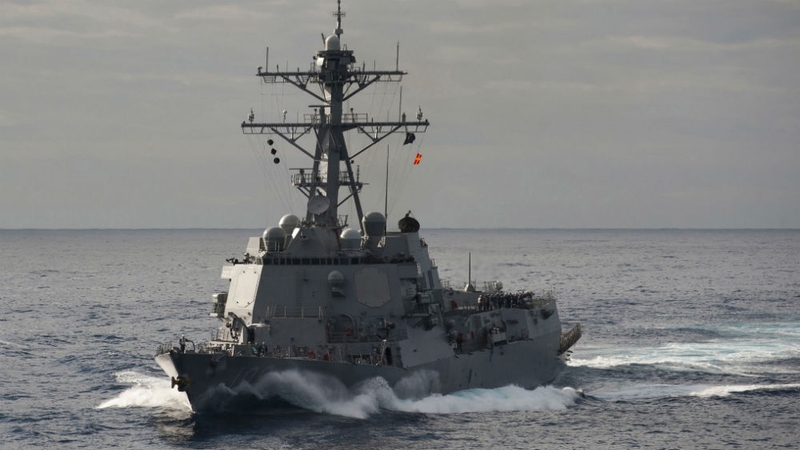 The United States sent two Navy ships through the Taiwan Strait in the third such operation this year as the US military increases operations in the strategic waterway despite opposition from China. The voyage on Wednesday will add to tensions with China, but is likely to be viewed in self-ruled Taiwan as a sign of support from US President Donald Trump’s government amid growing friction between Taipei and Beijing. An anonymous US official told AFP news agency Chinese ships asserted a “presence” during Wednesday’s sailing, but all interactions between the two navies were “safe and professional”. Taiwan’s defence ministry said the island’s forces monitored the two ships in the strait and it was a normal transit through international waters. The US Navy conducted a similar mission in the strait’s international waters in July, the first in about a year. Washington has no formal ties with Taiwan, which China claims as a “breakaway province”, but is bound by law to help the island defend itself and is its main source of arms. Over the weekend, Taiwan’s ruling pro-independence Democratic Progressive Party suffered heavy losses in mayoral and county elections to the China-friendly Kuomintang, which has been welcomed by Beijing. Taiwan is only one of a growing number of flashpoints in the US-China relationship, which also include a trade war, US sanctions, and China’s increasingly muscular military posture in the South China Sea.